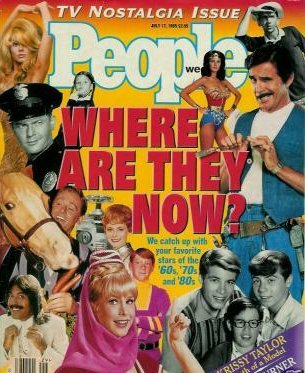 A very hard to find People Magazine TV nostalgia issue . "Where Are They Now??? This People magazine is a special nostalgia issue that was published in 1995, and is about all your favorite TV shows. The magazine is entitled "WHERE ARE THEY NOW?" 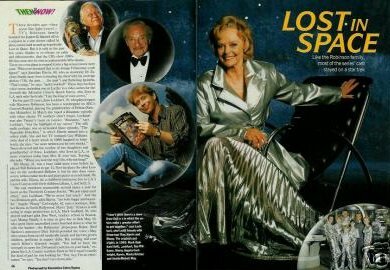 The magazine has interesting articles about ( I Dream of Jeannie * Lost in Space * My Three Sons * Charo * Tony Orlando * Moonlighting * One Day At A Time * Addams Family * Willie Aames * Mr. ED * Gilligan's Island * Wonder Woman ) and much, much more. This is a must have for any 60's or 70's TV fan. This would make a proud addition to any collection.